If you’re on the internet, Twitter or Facebook today, you’ll no doubt have noticed that people are saying it’s National Beer Day. And it is, but only in the sense that somebody decided to call it that, and lots of people agreed to it, as well. Which is exactly how every holiday got started. But the day should, I think, make sense. April 7 was chosen because it was the day that beer was first available after prohibition ended. Or at least that’s what a lot people believed, and continue to believe. Some even still call April 7 “Repeal Day.” But, of course, it wasn’t. When Franklin D. Roosevelt took office as our 32nd president on March 4, 1933, he quickly got to work on one of his campaign promises: to end prohibition. The very next day, Representative Thomas H. Cullen introduced the proposed legislation in the House of Representatives. Senator Pat Harrison did likewise in the Senate. It easily passed both houses, and was sent to committee on March 20. The re-worked combined document was approved by the Senate later the same day, while the House approved it the following day. FDR signing the Cullen-Harrison Act. According to the act, each state then was free to pass it’s own similar legislation and allow 3.2 beer to once again be available. Twenty-one of the states, including California, along with the District of Columbia, took the federal government up on the offer, and passed their own laws to allow low-alcohol beer. The new law took effect on April 7, 1933. 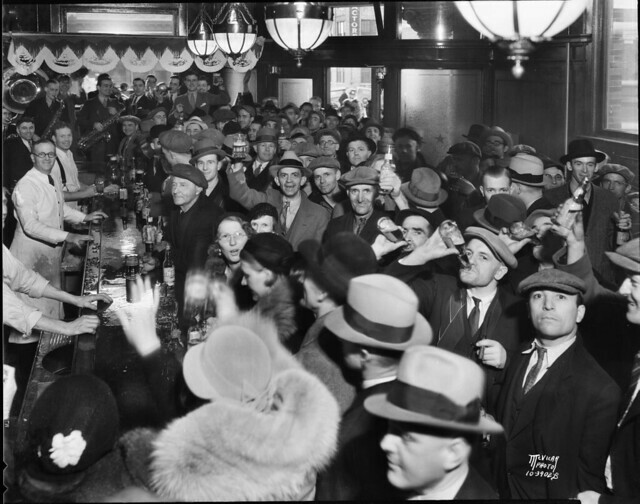 A raucous crowd celebrating the return of 3.2 beer at the Fauerbach Brewery tavern in WIsconsin on April 7, 1933. They even had a small band playing in a corner of the bar. So people in those states were pretty thrilled about being able to legally drink beer again for the first time in thirteen years, longer in some states, even if it was only weaker beer. Celebrations were held around the country. Since most breweries knew once FDR took office that beer would likely be back, they started brewing at least by March 22, when the law was signed, so that beer could be ready for early April. 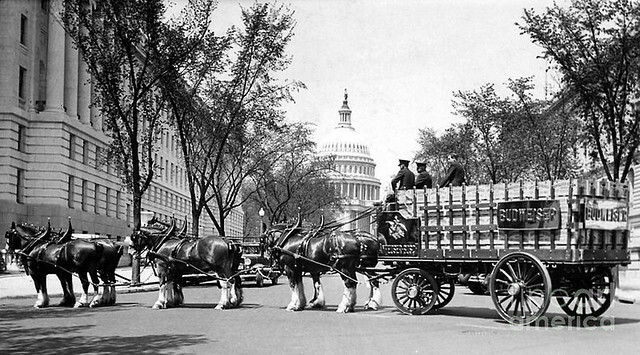 This was also the beginning of one of the most well-known marketing strategies, when Anheuser-Busch president Gussie Busch sent a team of clydesdale horses pulling a beer wagon first to present beer to New York governor Al Smith and then down Pennsylvania Avenue in Washington, D.C. to deliver beer to present Roosevelt. In the run-up to April 7, people in those twenty-one states started getting pretty excited and started calling the impending day names like “Beer is Back Day” and “Brew Year’s Day” or “New Beer’s Day.” What they didn’t call it was “National Beer Day.” That day would have to wait until December 5, 1933, when Utah ratified the 21st Amendment, the 36th state to do so, and making it the law of the land. The 21st Amendment repealed prohibition and made it possible for beer and wine of all strengths, along with spirits, to be legal again in all 48 states, whereas in April only 21 states legalized some beer, but only if they were low in alcohol. In fact, it wasn’t until 2009 that a man in Richmond, Virginia, who, at the urging of a friend, conceived of calling April 7 National Beer Day. 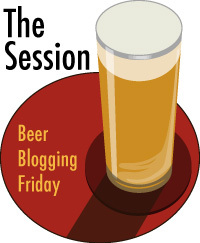 Here’s what I wrote about session beers in 2010, and I think it still holds true today. While “extreme beers” are the current darlings of the craft beer scene, another kind of beer is waiting in the wings for its shot at the spotlight: Session Beers. They’ve been here all along, but they often don’t get the attention they deserve. If extreme beers are the big bullies of the beer world, loud and brash with huge flavors, showing great depth and complexity, and usually high alcohol, session beers are their polar opposite. Session beers are, by contrast, light-bodied, with delicate flavors and are often very refreshing. What’s not to like? They’re actually harder to make than extreme beers, because it’s also easier to hide flaws in a big beer. A session beer is a beer that’s naked by comparison. Any defect is immediately obvious. Their most obvious characteristic is that they’re lower in alcohol than many mainstream beers, which are usually around 5.5% a.b.v. — alcohol by volume. While there’s no official definition, most people tend to believe that beers under 5% can be considered session beers, and at least a few set the bar even lower. They’re the ideal for beer for an evening at the pub, spending the night with friends, having a few drinks and talking about the day’s events. That’s one of the reasons most British beers that you’ll find at an average pub in England can be considered session beers, at least the cask or real ales. English ales are usually around 4.5% or less but remain surprisingly full-flavored. Session beers are also similar to so-called “lawnmower beers,” except that they tend to be more flavorful. Lawnmower beers are most often mass-produced light lagers with very little actual flavor or hop character. The kind of beer you want to quench your thirst after mowing the lawn in the hot sun. 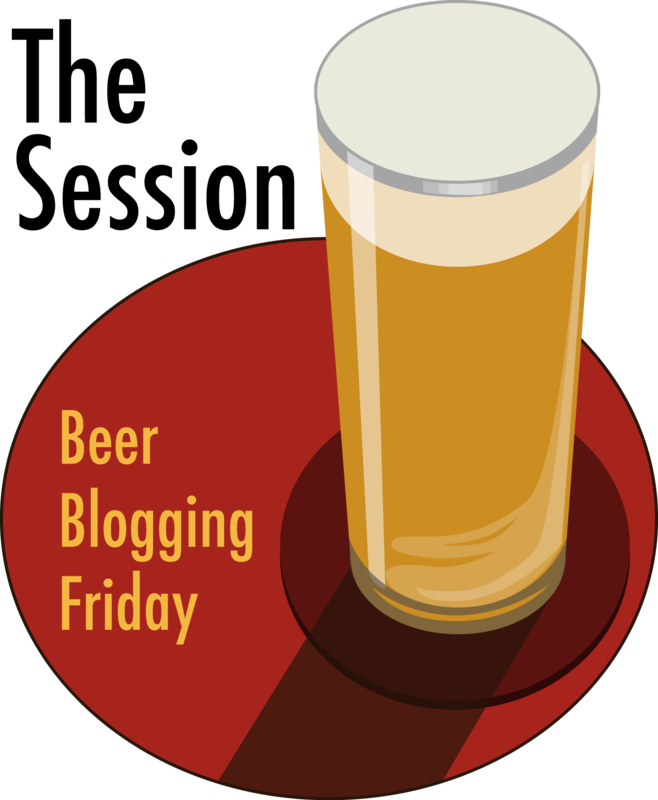 Session beers are similarly light-bodied, but should stand apart by having delicate, but very obvious hop, malt, and/or other flavor characteristics. There are plenty of beers that fit that definition being made by craft brewers in America and by small and large breweries abroad, too. Many area breweries and brewpubs have one or two that can be considered a session beer. Check the alcohol level and then give them a taste to make sure they’re as flavorful as you like. While many are also light in color, golden to amber, they don’t have to be. One of the most surprising session beers is Guinness, because many people believe that dark beers are heavier beers. But that’s just not the case, as Guinness Draught is only 4% a.b.v. I should point out that I love many extreme beers and in no way think session beers should replace them, or otherwise diminish their popularity. Extreme beers include some of the best, most experimental, most forward-looking beers ever conceived and brewed. 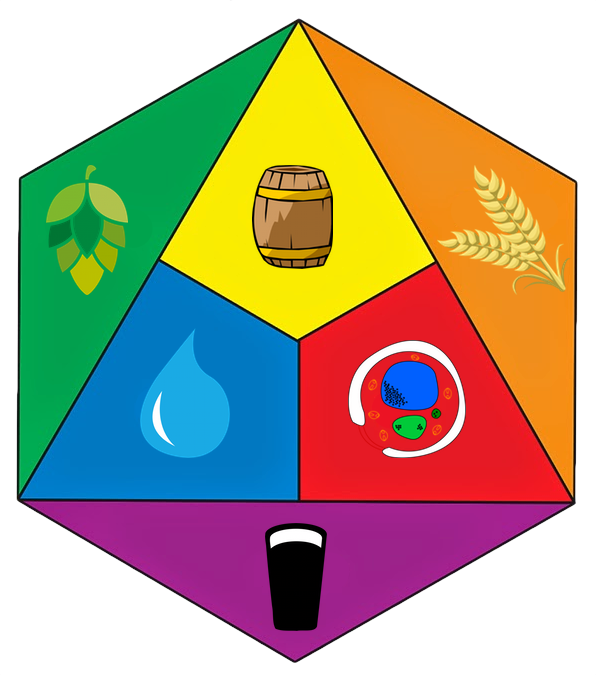 They’ve helped redefine what beer is and what it can be. It’s helped bring foodies into the fold by its ability to be paired with an endless variety of foods, standing up to many dishes that wine cannot. I certainly won’t stop being excited by all the wonderful big beers being made. But more is not always, well … more. Sometimes less is. Sometimes you just want something that has subtlety, delicate flavors and lets you enjoy your time with friends and family. And that’s why session beers are such a great choice. Session beers are simply a great concept, and one that promotes both responsible drinking and conviviality, while at the same time not sacrificing taste. I can certainly drink to that. 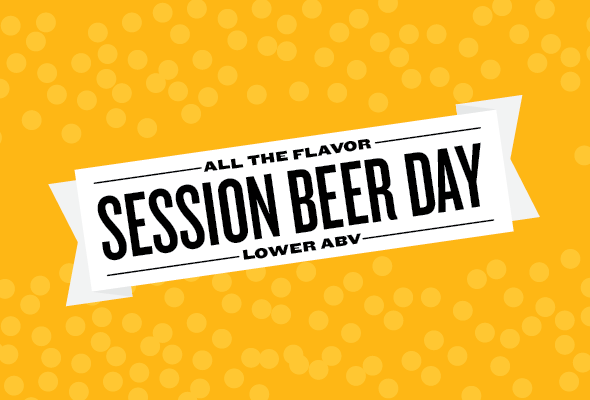 Essentially every day is National Beer Day, but today should really be Session Beer Day. 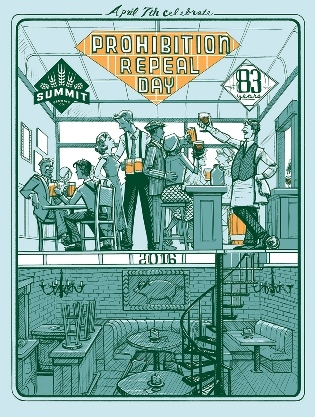 UPDATE 4.8: To underscore my point that many people still incorrectly believe that prohibition was repealed on April 7, witness Summit Brewing’s new poster for 2016, whose title reads “April 7 Celebrate Prohibition Repeal Day.” C’mon guys, I know your heart is in the right place, but this isn’t helping. In March of 2007 I couldn’t have guessed the topic March 4, 2011 might be “regular beer.” How vague is that? But when in December I was motivated to post my defense of “regular beer” the course was set. It might be your “go to” beer, brewed commercially or at home. The one you drink regularly. I could be a beer your enjoy on a regular special occasion. When in San Francisco I always like to start with draft Anchor Liberty Ale. But it might be your poker night beer. It doesn’t have to be a “session beer,” but it can be. It probably shouldn’t have an SPE of more than $25 (that’s a very soft number; prices may vary by region and on premise further confuses the matter). Ask yourself, is it what somebody in a Miller High Life TV commercial in the 1970s could afford? Because affordability matters. I’m all for paying a fair price (which can mean higher than we’d like) to assure quality and even more for special beers, but I’m not ready to part with the notion that beer should be an everyman’s drink. Brewery size, ownership, nationality do not matter. Brew length doesn’t matter. Ingredients don’t matter. It feels a little strange typing that last sentence, since the Mission Statement here says ingredients matter. But I hope you get the point. I prefer beer that costs a little more because its ingredients cost more, because there’s more labor involved. You don’t have to. Beer should be inclusive. 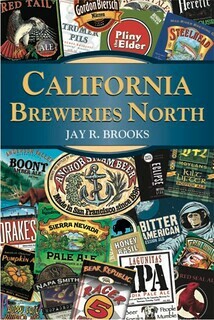 The closest analogue in craft beer is probably the “flagship” beer, the best-selling beer that each microbrewery sells. 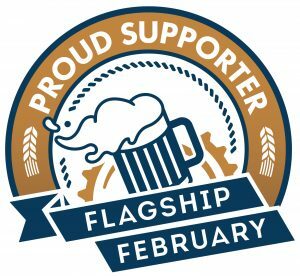 Flagship beers tend to outsell every other beer that the brewery makes exponentially. For most, the flagship accounts for week over half of total sales. In a sense that makes them regular beers. And while that’s no doubt desirable for any business, for craft breweries it can also be a problem because it can make the brewery appear stale since so much of craft beer sales is centered on the “new.” But without those flagship sales, most couldn’t afford to make the specialties, seasonals and one-offs that make their reputations. Both are equally important, and in fact striking that balance is perhaps the most important strategy a brewery needs to work out to maintain success. A few years ago I was walking the hall at the Great American Beer Festival, trying to get somewhere in a hurry, when I got caught behind a group of young men and couldn’t get around them. So as I patiently waited for an opening, I started listening to their conversation. We were passing the Sierra Nevada booth when one of the young men elbowed his friend, and pointing to the Sierra Nevada stand, said “my Dad really likes that beer.” “Oh, that’s going to be a problem,” I though to myself and indeed it was. I’ve since had conversations with people from the brewery who’ve acknowledged that the perception of Sierra Nevada Pale Ale as “your Dad’s beer” was a problem. That’s at least part of the reason that Sierra Nevada has launched so many new projects, collaborations, new series, the anniversary beers, beer camp, etc. And it’s worked. They’ve struck a nice balance between the near ubiquitous pale ale and some pretty exciting new stuff. But back to the table. Throughout many countries in Europe, wine is not the snobfest it often is over here. Ordinary table wine sits in every home for every meal. But it’s not the low quality box wines we think of, but very flavorful, though slightly lower in strength, wine. It tastes great, but is also ideal for drinking every day, no special occasion necessary. Table beer used to be very common in Belgium, too, until recently when it’s been replaced on the table by bottled water or — ugh — soda pop. 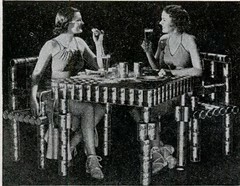 In fact, until the 1970s, table beer was served in school to children, but now has also been replaced by soda. Although there is a movement to get rid of soda and replace it once more with low-alcohol table beer, with advocates arguing that beer is more healthy than soda, something I’ve said for years. I’d like to see that tried here, but oh the hue and cry would be swift and noisy to be sure. But the reality is table beer would be more healthy for kids than all the chemical-laden soda pop, and those are still sold in many schools, despite their role in juvenile obesity and other health problems for kids. The fact that in this country, alcohol is the bogeyman but soda companies are not only allowed but celebrated strikes me as hypocrisy run amuck. Serving table beer at home wold also educate children about alcohol and quite possibly would lead to less abuse and binge drinking as young adults and/or in college. Here’s how Table Beer was described in the World Beer Cup guidelines for 2010. Our 40th Session is, ironically, about Sessions themselves. Not drinking sessions per se, but Session beers, perhaps the best choice for drinking during a drinking session. Our host, Erik Lars Myers from Top Fermented has chosen a topic near and dear to Lew Bryson’s heart — as well as many other beer lovers — session beers, which he describes as follows. There are a thousand ways to approach this. What is your definition of a session beer? Is it, as Dr. Lewis suggested at the Craft Brewers Conference this year, “a pint of British wallop” or is your idea of a session beer a crisp Eastern European lager, a light smoky porter, a dry witbier, or even a dry Flemish sour? Is it merely enough for a beer to be low alcohol to be considered a session beer, or is there some other ineffable quality that a beer must hold in order to merit the term? And if so, what is that quality? Is it “drinkability”? Or something else? What about the place of session beer in the craft beer industry? Does session beer risk being washed away in the deluge of extreme beers, special releases, and country-wide collaborations? Or is it the future of the industry, the inevitable palate-saving backlash against a shelf full of Imperial Imperials? What are some of your favorite session beers? When and where do you drink them? If you’d like, drink one and review it. I tend to think of Session beers loosely as any beer under 5% a.b.v. and which can withstand an evening of leisurely paced drinking without reducing one to belligerence, sloppiness or incoherence. In other words, it’s a beer that allows you to stay lucid and keep up your end of the conversation throughout a drinking session, however long (within reason, of course) as the evening waxes and wanes or the discussion meanders. That’s it for my definition. 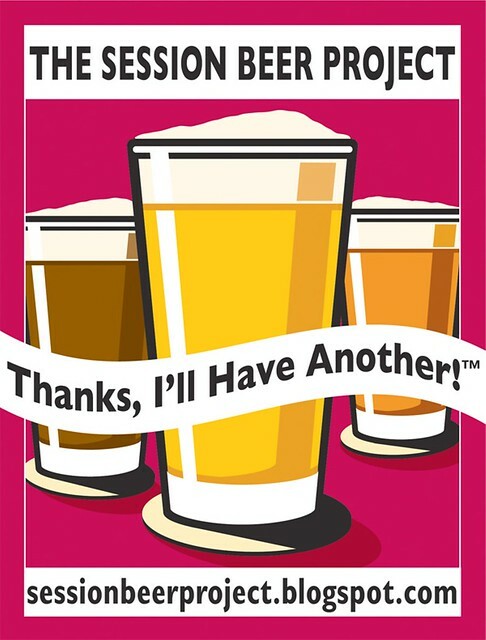 Lew Bryson at his wonderful Session Beer Project adds that it must also be flavorful, balanced and priced reasonably. And while I agree that to be a “good” session beer those qualities are desirable, I must respectfully disagree with my learned colleague that it ought to be a requirement. Just as there are bad Imperial Stouts and good Imperial Stouts, I believe there can be bad session beers, too, but either can still be considered a session beer. An expensive low-alcohol beer that’s unbalanced and not too flavorful, to my mind, is still a session beer. It’s just not one I’d drink. But perhaps that’s just me. What I’m actually more interested in thinking about is the sessions themselves. There just aren’t enough of them. I’m in the middle of reading Kingsley Amis’ book Everyday Drinking. Actually it’s a collection of three short books by Amis that he wrote throughout his career: On Drink (1973), Every Day Drinking (1983), and How’s Your Glass? (1984). In the first, written in the early 1970s, Amis complains mightily about the demise of pub atmosphere brought upon by loud music, among other things. I can’t say why the switch began then in the UK, but for our purposes I’ll take his word for it. What struck about this is that the main reason he disliked this so intensely was not because of the music itself, but its volume. It killed conversation. It killed drinking sessions because people had to shout to be heard and often just gave up trying. He speculates that this may be because when people couldn’t talk, they drank more, which if your livelihood depends on people drinking more then that indeed might provide sufficient incentive for publicans to crank up the music. Throughout this and the second book, it’s clear to me that Amis valued entertaining and the sharing of ideas, conversation, friendship, etc. that went along with an evening of drinking and eating above all else. His entire philosophy seemed aimed at creating the perfect party atmosphere in which all those things might flourish. In essence, he wanted to dissect and identify the elements to do just that. And while I have had my share of uplifting drinking sessions in a pub or bar, the noise factor can make them less enjoyable or impossible altogether. Sometimes that’s okay, other times it feels like a missed opportunity. I love music wholeheartedly. I’m a former musician. One of my favorite quotes, by Friedrich Nietzsche, is “without music, life would be a mistake.” But there are times when a little quiet can go a long way, too. Whether turning it down or eliminating it completely, sometimes it’s just more enjoyable to hear your own voice and those of your friends without straining to hear them over the din. Not all the time, of course. Sometimes listening to a great band is also the stuff of a wonderful evening. But whether there are quiet conversation rooms — the aural equivalent of smoking or non-smoking; “would you like the high-decibel section or would you prefer to be seated in the low-decibel area?” — or even certain designated quiet evenings at a bar, it might go a long way to bring back the fading art of conversation. I’d certainly be more inclined to go to a more quiet bar if my aim was to meet friends and enjoy one another’s company, not just drink in the same vicinity, as sometimes happens when a room is too loud. Maybe it’s because I’m getting older, or maybe it’s because I just prefer talking too much, but I’d certainly like to see more opportunities to drink and talk, which to me is what a session is all about. If we don’t have the session to go with the session beers, than for me the session beer loses some of its purpose, its raison d’être. I’ve been thinking about this a lot lately, and my modest plan to change this situation, at least for myself, started two months ago when I finally launched my own regular drinking sessions. I founded what I’m calling the Philopotes Society, and we’re having “meetings” the last Tuesday of every month. A “meeting” consists of an evening of friends getting together at my house, drinking some beer (usually about 30 bottles), eating some food (usually bread, cheese, chocolate and charcuterie) and talking about life, the universe and everything, but especially the beer. We’ve met twice so far and I think it’s been a resounding success. It also helps me clean out my refrigerators and try new samples that are sent to me during the prior month. Tasting in a group has always been preferable to me than sampling alone for work. I have about 40-odd people — I’m fortunate to have friends who are brewers, chefs, writers, suppliers, retailers, homebrewers and curmudgeons like myself — and if 8-10 show up each month, we have the makings of a pretty cool evening. So far that’s the way it’s working. The word philopotes is a great word I learned reading Iain Gaitley’s fabulous book, Drink: A Cultural History of Alcohol. Essentially it means “lover of drinking sessions.” And I chose the holy grail as our symbol (actually it’s the grail from Indiana Jones and the Last Crusade, but never mind) because, like the grail, it’s not about actually finding the cup. What’s most important is the search for it. It’s the journey that really matters. The quest for the perfect beer. To me, that’s high adventure. That’s a session. For that, we need more session beers. 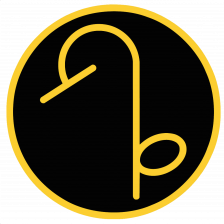 Who knows, perhaps one day they’ll be Philopotes Society chapters all over the world. For now, I’m content to have a drinking session I can count on where I know I can enjoy my own session beers. And Lew, you’re welcome anytime.